With the Kentucky Derby being run this weekend, we thought it would be fitting to explore the history of the Mint Julep, the traditional drink so closely tied to the race. Juleps are the ancestors of centuries-old drinks from the Middle East known as julabs, which were made with water and rose petals. Juleps at some point made their way to the U.S. where their heritage dates to the 1700’s when the drink was probably made with brandy or rum or other spirits that were readily available. In the early 1800’s, Henry Clay, a popular Senator from Kentucky, helped change the face of the Mint Julep to the bourbon cocktail we know today: mint leaf, bourbon, water and sugar prepared and served in a highball glass with a straw. He took Kentucky Straight Sour Mash Whiskey with him to Washington, D.C., where he introduced friends and colleagues to his drink at the Round Robin Bar inside the Willard Hotel. The Mint Julep was a hit and grew in popularity from there. Willard Intercontinental Hotel, Washington D.C.
Decades later in the late 1800’s, Marvin Stone was sipping a Mint Julep and was dissatisfied with the natural rye grass straws used at the time. Those straws fell apart, imparted additional unwanted grassy flavors and left a gritty residue in the drink. He experimented by wrapping a piece of paper around a pencil and gluing the ends together, an invention that caught on. After several improvements to the initial design, including making a more sturdy paraffin-coated manila version, his drinking straw was patented in 1888. The invention was so successful, he turned his cigarette paper holder company into Stone Straw Company by 1906. Bourbon and the Mint Julep survived Prohibition and in 1938, the drink was officially promoted by Churchill Downs for the Kentucky Derby. Brown-Forman’s Early Times Mint Julep Ready-to-Serve Cocktail has been “The Official Mint Julep of the Kentucky Derby” for over 18 years. Brown-Forman also makes Woodford Reserve, “The Official Bourbon of the Kentucky Derby.” Woodford Reserve has been used to make $1000 ultra-premium Mint Juleps served in silver cups since 2006, with proceeds this year benefiting the Old Friends Thoroughbred Retirement Center charity. And the Mint Julep is as popular at the Derby as ever, selling tens of thousands each year. So whether you actually make it to the Kentucky Derby or are watching from the couch with a few friends, a mint julep is the way to go. 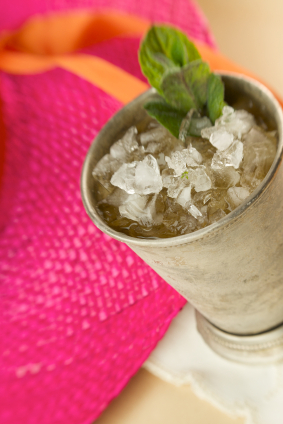 Here is a mint julep recipe with step by step instructions (start the night before). Let us know how it turns out! 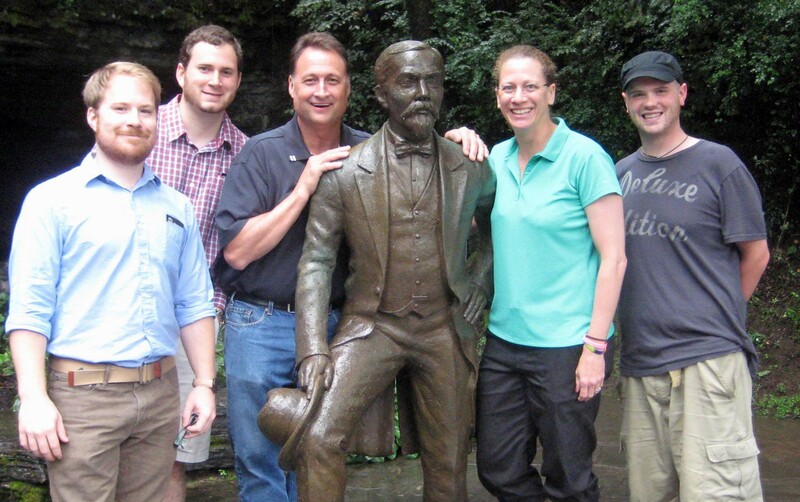 This past July, the team from Total Wine & More in Kennesaw, Georgia had the chance to experience firsthand how a classic American whiskey is made during a visit to the Jack Daniel’s Distillery in Lynchburg, Tennessee. There they also participated in the selection of two special barrels as part of the ongoing Single Barrel Select partnership between the store and the distillery. In 1886, a young Tennessee distiller by the name of Jasper Newton “Jack” Daniel began the process of creating his own version of whiskey, a spirit America had come to call its own. Using water from a natural cave spring located outside the town of Lynchburg, Tennessee, Jack Daniel was able to distill a whiskey unlike anything that had been produced in the state before. 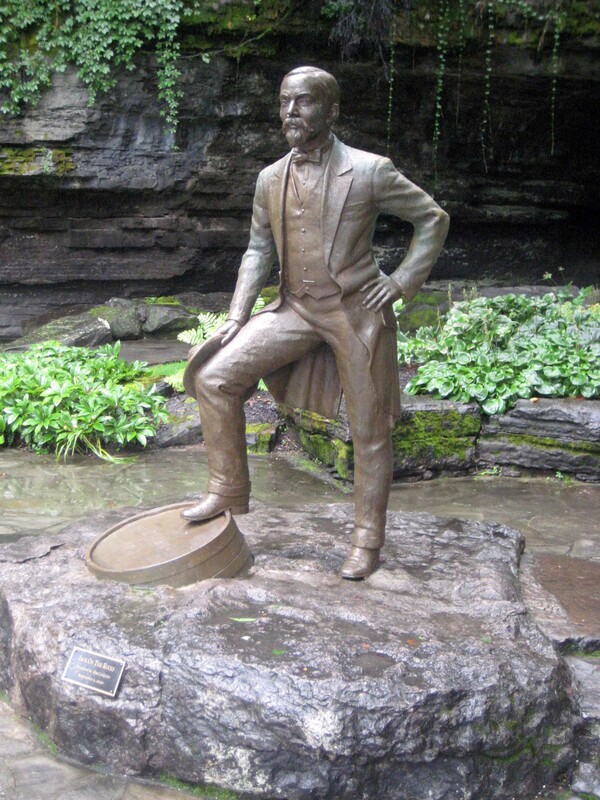 The cave spring, which is part of a naturally filtrating limestone formation, was found by Jack Daniel to have the perfect temperament for his whiskey. Jack Daniel’s whiskey is distilled from a blend of 80 percent corn, 12 percent malted barley, and 8 percent rye, which contribute to a complex profile that is at times sweet, dry, and spicy. All of the ingredients of Jack Daniel’s Tennessee whiskey, from the corn to the barrel the whiskey is matured in, are harvested locally from around the Tennessee state, making Jack Daniel’s Tennessee whiskey a quintessential Tennessee creation. Spirit manager Mark Preetorious, assistant manager Heather Lalla, and spirit team members Thomas Webb, Harrison Benett and Michael Martin were sent to the distillery to hand-pick two new and unique single barrels to be sold in their store. After a tour of the distillery where they learned about the history of Jack Daniel’s and the process of how Jack Daniel’s Tennessee whiskey is made, the team made their way to the Bethel House, home of the first Jack Daniel’s distillery visitor center, to begin the barrel selection process. The Jack Daniel’s Single Barrel Select program accounts for less than two percent of all Jack Daniel’s sales. Throughout the whiskey aging process, a team of 104 Jack Daniel’s tasters sample each barrel to look for three certain flavor profiles; caramel, vanilla, and toasted oak. If all three criteria are met, the barrel is selected to age for an additional year to year and a half in order to become part of the Jack Daniel’s Single Barrel Select line. After the barrel has aged, seven Master Tasters convene on a panel to determine if the barrel is ready to be offered for selection. A single barrel will generally by bottled at 94 proof for a bolder flavor, and no barrel will ever produce less than 38 cases for sale and consumption. Each Single Barrel Select bottle features two sets of numbers; a writ number, which is the designation of the side of the warehouse the barrel comes from (left or right), and a barrel number, of which the first two digits always mark the year of production and the remaining digits mark the barrel selection for the year. After the initial introduction to the process behind the Single Barrel Select program, the Kennesaw team was given five different barrel samples to evaluate, numbered 3890, 3899, 3901, 3906 and 3907, and were asked to select two favorites. The first three samples had softer, sweeter profiles, displaying aromas and flavors of caramel, vanilla, and light oak. The last two samples offered bolder notes of charred oak, toasted vanilla, and dark caramel. After careful deliberation by the team, two barrels were selected, each showcasing contrasting sides of the flavor spectrum. Barrel 3890 was picked for its softer, sweeter profile, with fragrant notes of vanilla and caramel on the nose and light oak and sweet vanilla on the palate. Barrel 3907 was chosen for its boldness, incorporating charred oak and toasted vanilla notes with a nice depth of spicy heat and lacquered caramel on both the nose and the palate. These barrels will go on to be the 13th and 14th barrels selected as part of the unique partnership between Total Wine & More of Kennesaw, Georgia and the Jack Daniel’s Distillery of Lynchburg, Tennessee. Bottles from both of these special barrels will be available for the fall season. Make sure to pick one up for a fantastic gift, collector’s item, or perfect addition to the upcoming football season. For more on the latest Georgia Total Wine & More happenings, new items and so you can say “hey” to Harrison and team, give our local Georgia Facebook page a like here! Brown-Forman’s Early Times Mint Julep Ready-to-Serve Cocktail has been “The Official Mint Julep of the Kentucky Derby” for over 18 years. Brown-Forman also makes Woodford Reserve, “The Official Bourbon of the Kentucky Derby.” Woodford Reserve has been used to make $1000 ultra-premium Mint Juleps served in silver cups since 2006, with proceeds this year benefiting the Old Friends Thoroughbred Retirement Center charity. And the Mint Julep is as popular at the Derby as ever, selling tens of thousands each year. So whether you actually make it to the Kentucky Derby or are watching from the couch with a few friends, a mint julep is the way to go. Here is a mint julep recipe with step by step instructions (start the night before). Let us know how it turns out! In celebration of this great American spirit, we thought it would be fun to interview some of the key personalities in the bourbon world — over several bourbons we came up with some questions and got back some fun and informative responses! Today’s interview is with Chris Morris, Master Distiller at the Brown-Forman Corporation’s Woodford Reserve distillery in Kentucky. 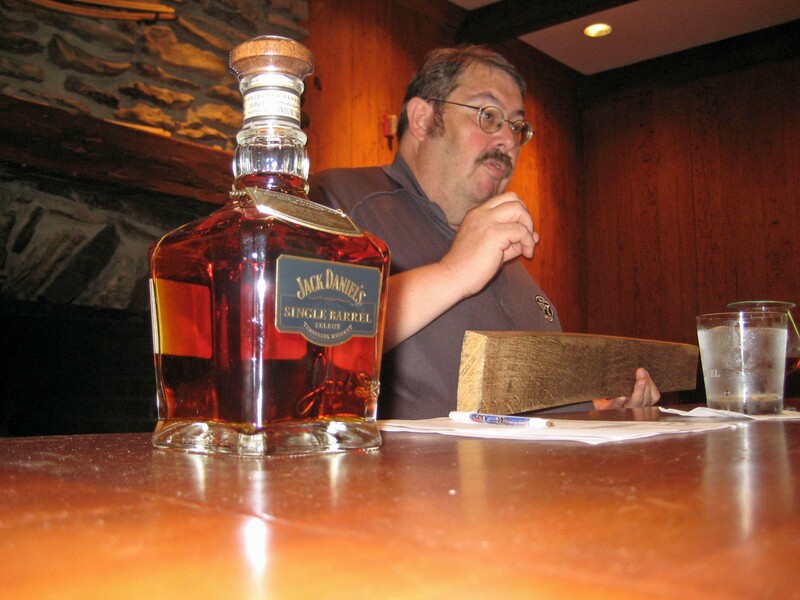 He also serves as their global brand ambassador and is an avid historian of bourbon and Kentucky heritage. TWM: How old were you when you had your first taste of bourbon? CM: I don’t know how old I was when I had my first taste of bourbon – I am reluctant to admit it – because I was fairly young. Both of my parents worked at Brown-Forman (the parent company of Woodford Reserve, Old Forester and Early Times) so we always had bourbon around the house. My parents would let me have a little sip from their bourbon and water on occasion and as I remember I didn’t like it. I sure have grown out of that opinion as an adult. CM: My “everyday” bourbon is Woodford Reserve – I figure that after a hard day at work a person deserves a special treat or reward. CM: I prefer my Woodford Reserve neat or on the rocks, depending on the time of day and year. 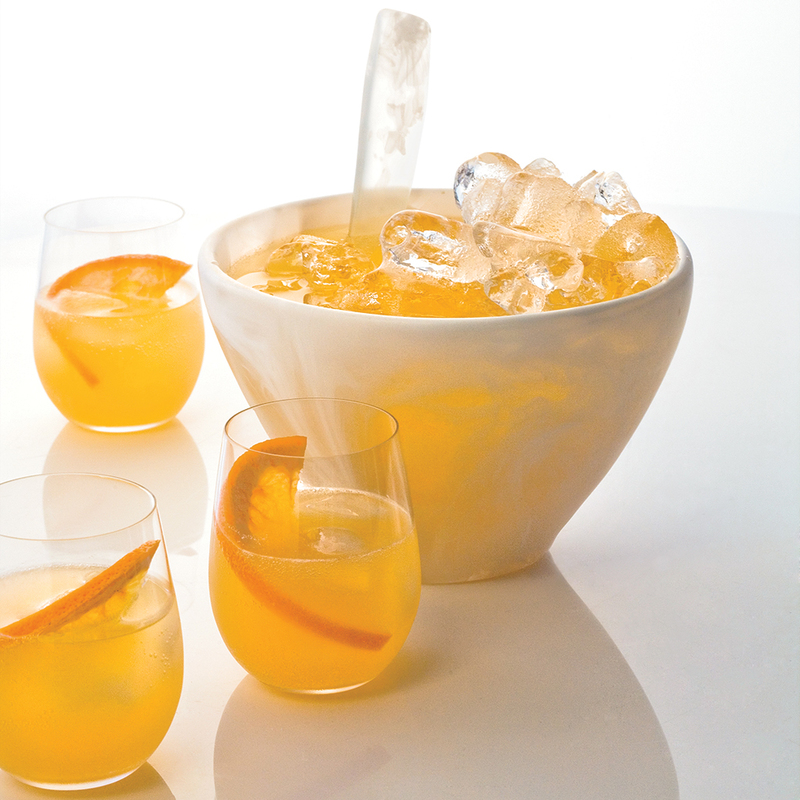 CM: My favorite cocktail is an Old Fashioned – and it is one of the more challenging cocktails to get just right. Brown-Forman’s long history with the famous Pendennis Club in Louisville, where the cocktail originated, makes the drink even more personal for me. I would have to give a nod to the Woodford Reserve $1000 Mint Julep that we serve at Churchill Downs on Kentucky Derby day. It is the world’s most expensive and exotic cocktail. Not only does it taste great the proceeds from every drink sold is donated to a great charity. TWM: Best bourbon myth that’s not true? CM: The bourbon industry is replete with legend and lore, myths, etc, so it is hard to choose just one as being the best. I guess the biggest one to tackle is the source of the name “bourbon” itself. It is well documented that one of Kentucky’s first six counties was Bourbon County – named by the Virginia Legislature to honor France’s support of the Virginia Colony in the revolution against Great Britain. Legend has it that since one of Kentucky’s early ports on the Ohio River was Limestone (now Maysville) in Bourbon County all of the barrels of whiskey shipped from there (and therefore from Kentucky in general) were called “Whiskey from Bourbon County”. This was shortened over time to simply “Bourbon whiskey”. This story has been accepted as gospel. Obviously no one questioned why, since all barrels shipped from Limestone and other ports on the Ohio had to stop at the Falls of the Ohio (Louisville, Jefferson County), be unloaded from the boat they were on, and warehoused until a boat from down river arrived to take them to New Orleans, the whiskey wasn’t called “Whiskey from Jefferson County”. That question has finally been asked and research now shows that the name “Bourbon whiskey” derives from the marketing of Kentucky whiskey on Bourbon Street in New Orleans by French merchants. CM: I have never even tasted a pickleback. It has always been my belief that a bourbon not worth sipping was not worth drinking – even in a shot. TWM: Strangest place you’ve ever had bourbon? CM: I have traveled all over the world as an bourbon ambassador. I don’t know if this counts as strange but it certainly was memorable – I conducted a bourbon tasting at the ambassador’s residence in Moscow, in the same room that every Soviet leader since Stalin had attended receptions in. To think of all the vodka that had been consumed in that room made me feel that finally America was having its day. CM: I am fortunate that one of our company’s brands is always sure to be around if I can’t find Woodford Reserve, Old Forester or Early Times – and that is Jack Daniels. CM: I do enjoy a fine 100% agave tequila – on the rocks or in a margarita on the rocks.